Design-build, construction management, general contracting and pre-construction services. Pointer Construction Group is a CVE verified, service-disabled veteran, woman-owned firm founded in 2009, providing a full array of design-build, construction management, general contracting and pre-construction services in Florida, Georgia, Alabama, South Carolina, Arizona, Texas and New Mexico. Our expertise covers a broad range of markets including federal government agencies as a Prime Contractor, industrial and manufacturing facilities, commercial-office buildings and retail centers, healthcare-hospitals and multi-family. Redesign of existing space within active environments. Large scale improvements to industrial systems. New ground up clinics, laboratories and surgical centers. Parking garages, office buildings and additions. Comprehensive design and construction solution for a 60-bed Mental Health Domiciliary to provide Residential Rehabilitation Treatment Program. 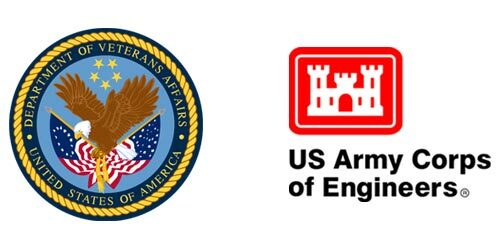 Pointer Construction Group works with public and private sector clients including the U.S. Department of Veterans Affairs and the U.S. Army Corps of Engineers. Pointer Construction Group has gone above and beyond, far exceeding our expectations. Pointer Construction Group established an excellent order and sequence of work to minimize impact on government operations.